Unde puteţi aplica pentru viză? We are announcing a call for project proposals in the Republic of Moldova under the Fund for Local Cooperation (FLC) of the Embassy of Finland in Bucharest. 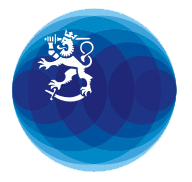 The FLC of the Embassy of Finland is an instrument of Finnish development cooperation. The FLC is channeled through the local civil society organizations to complement the bilateral development cooperation of Finland, towards poverty reduction and participation of the civil society in the development process. Read more about Finnish development policy and cooperation. The FLC is geared towards local civil society actors to carry out well-targeted projects with a clear goal and sustainable outcome. The Embassy’s FLC has been operating in the Republic of Moldova since 2008. Prospective applicants must provide detailed information on their organization. Activities proposed should be sustainable, reach a large audience (direct and indirect) and have potential for a broad impact and replicability. Organisations submitting a project proposal are requested to apply key elements of Finnish development policy and quality standards, namely the Results Based Management (RBM), Human Rights Based Approach to Development (HRBA) and Cross-Cutting Objectives (CCOs) in their project plans. They are an important part of the selection criteria for FLC applications, and projects which are assessed as Human Rights blind cannot be funded. If needed, a capacity development plan can be part of the Project Plan for a systematic integration of the quality standards throughout the project cycle. The proposed project should not be fully financed by the donor; the fund can not be used for core funding and the organisation must show its capability to run day-by-day activities. The Embassy of Finland reserves the right to accept or reject project proposals. All applicants use the same application form in order to guarantee that all key facts are presented and to allow for better comparability. Only complete applications will be considered. The project proposal should be submitted in English. The Embassy may ask further clarifications from the shortlisted organisations/proposals. In addition, shortlisted organizations will be asked to provide past year's annual accounts, financial statement and other relevant information to the Embassy. All applicants will be contacted. Deadline for submitting applications: Friday 15th of March 2019 by 16:00 hrs (UTC +2). Project proposals submitted after the deadline will not be considered.